Here’s another look into the future brought to by Sneakerfiles. Today we’ll preview some of the releases scheduled to be out in 2008. 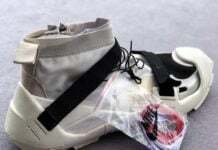 First, we preview a pair of Nike Air Zoom Talache 1 Mid. 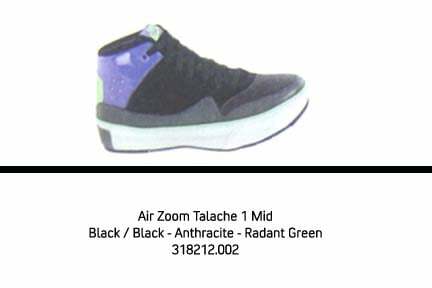 These will be available in a Black / Black – Anthracite – Radiant Green Colorway ( 318212.002). 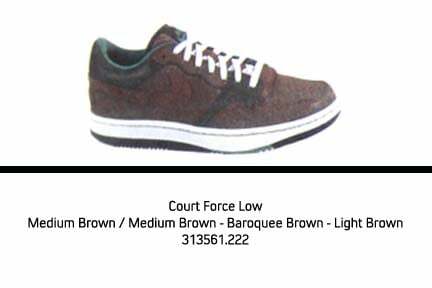 Next up is a pair of Nike Court Force Low’s, which will be coming in a Medium Brown / Medium Brown – Baroquee Brown – Light Brown colorway ( 313561.222 ). 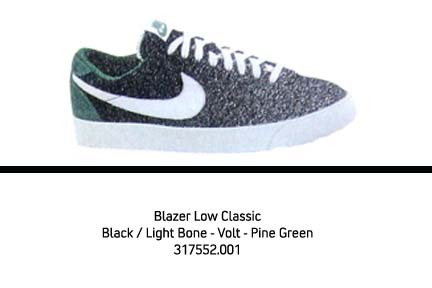 Also, a pair of Nike Blazer low Classic will be releasing, coming in a Black / Light Bone – Volt – Pine Green colorway ( 317552.001 ). 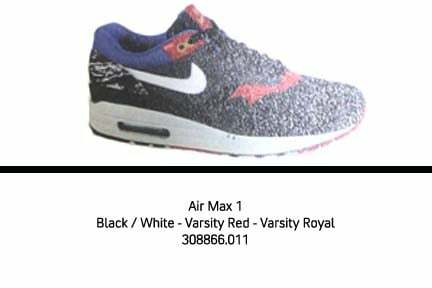 And lastly, A pair of Nike Air Max 1’s, which will be releasing in a Black / White – Varsity Red – Varsity Royal ( 30886.011 ). 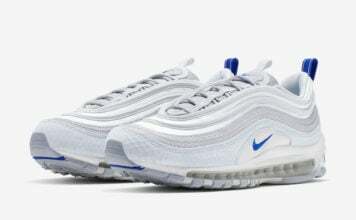 This aren’t all the releases of the year, so check back for updates. is that talache mid thing a balling shoe?? 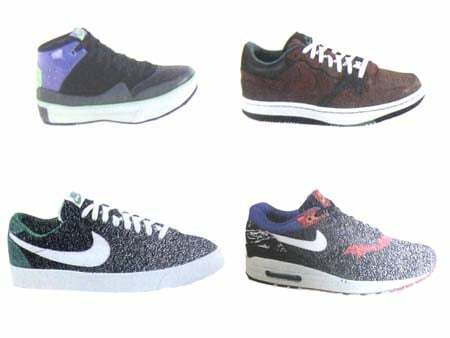 Lets hope these look better in person…….. The brown Court Force shoes are absolutely killed by the white sidewalls. Patterned shoes with unpatterned toe boxes and the ever present white sidewall absolutely kill shoes for me. dude… bring back the Air Carnivores. Fine information. I appreciate your effort, great share.